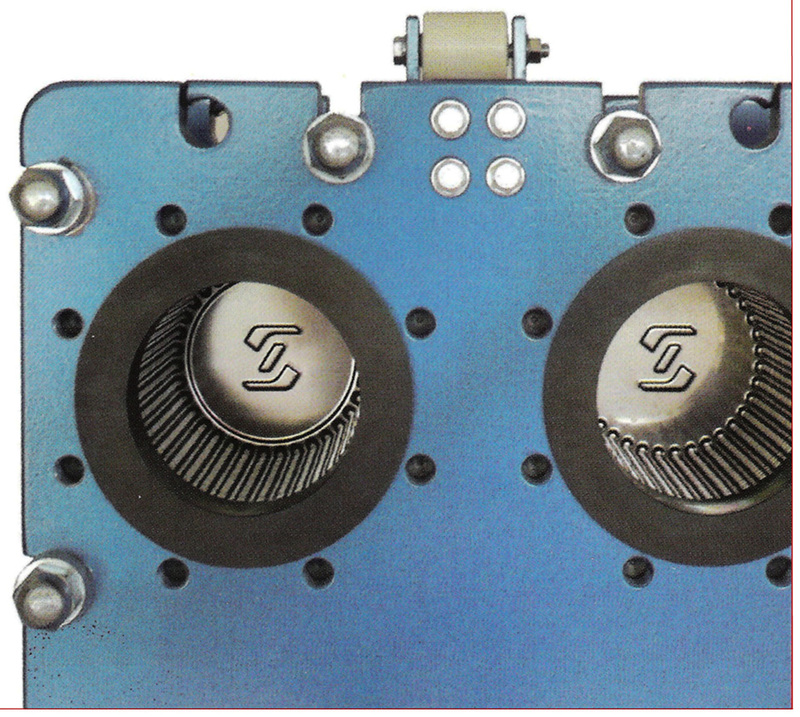 In the area of Frame & Plate heat exchangers we cooperate with reputable manufacturer from Italy - TECHNO-SYSTEM s.r.l. The company develops and produces dismountable plate heat exchangers since 1983. Their products meets customers demands from Food industry to Energetic segments. The continuous emphasis on Development and Innovation is now reflected at quality of the products. In the test laboratory, there is tested performance and pressure drop of heat exchangers, which are placed on the market. From a rational point of view, the ratio “utility value /price“ would be interesting . The success of the products suggests the best references of customers. The own calculation software includes a single and multi-passes arrangements . The range of heat exchange plates, with channels "free flow" and "high efficiency", covers the requirements of most technological processes. The best idea about ​​ range will refer the connection size - from DN32 to DN200. The materials used for PHE plates includeds wide range, from standards chrome-nickel steel 1.4404 (AISI 316L ) to Hastelloy, Monel or Titanium. The gaskets with a usefull „clip-on“ fixing system are performed in a range of materials : NBR ( nitrile) , EPDM, EPM , FKM ( Viton) , silicone rubber. The special versions are possible for the food industry and higher service requirements, i.e. stainless steel frame with a special connection types ( see data sheets).